I can't believe another year has passed already! Monday marked the 7th birthday of my blog, and in the tradition I look forward to, I'm here with a giveaway to celebrate. It's my way of saying thank you for your support. Since so many of you who visit are makers or aspiring makers, I'm encouraging that with this year's prizes. I can't keep ALL the fabric and stuff to myself...can I? So, what are we looking at here? Each of those pieces of fabric is 1/2 yard, so that's a total of 4 yards to play with! I've included a couple of embroidery hoops, in case you want to play along with my new monthly Hoop Art series. Or you could, you know, embroider with them. I've included some floss for that. There's also a big spool of my favorite white Gutermann thread for sewing. The three 10" zippers will come in handy for something I'm sure. There are three self-declared cute buttons. I've also thrown in a pincushion kit and some ground walnut shells for filler. I have one of these myself that I'm itching to try, so we might be learning how to do that one together. Think that will keep you busy for a while? This giveaway opens on February 15, 2017 and will remain open for entries until midnight Pacific Time on February 21, 2017. I will email the randomly selected winner on February 22nd. Click on the photo below to scroll through close-ups of the giveaway items! Congratulations to Linda for winning the travel pillow! This post is sponsored by Essentia, but all opinions are my own. I'm never without an opinion on pretty much anything. My husband and I have been casually shopping around for travel pillows for a while now. We have that long trip to Italy coming up in the spring, and we'd like to make it as comfortable as possible. We haven't purchased anything yet, because it's been very difficult to make a decision. Do we want something cheap in case we lose them, but sacrificing comfort? What about inflatable pillows, so we can easily store them while we travel? Well, thanks to my recent partnership with Essentia, the problem is solved. Essentia sent me this pillow, called the Traveler (and also one for one of you – more on that in a few moments! ), and it's everything you'd want it to be. It's made from memory foam, but not just any – this is made using hevea milk (rubber tree sap), making it a natural product. It's just the right amount of soft and supportive, and it can be squished to fit into a rather small space for storage while you travel. It's made by our Canadian friends to the north, using no animal products. I love everything about it. My husband tried it out, and I'm surprised it hasn't disappeared yet. I keep expecting to look over at the couch and find him sitting there with it around his neck. I think the only thing stopping him was the cover. I like it, and it's made from organic cotton, but I think he was looking for something a little more masculine. That was an easy fix. Cut two pillows from the first fabric, and a 4 by 53" strip from the second. 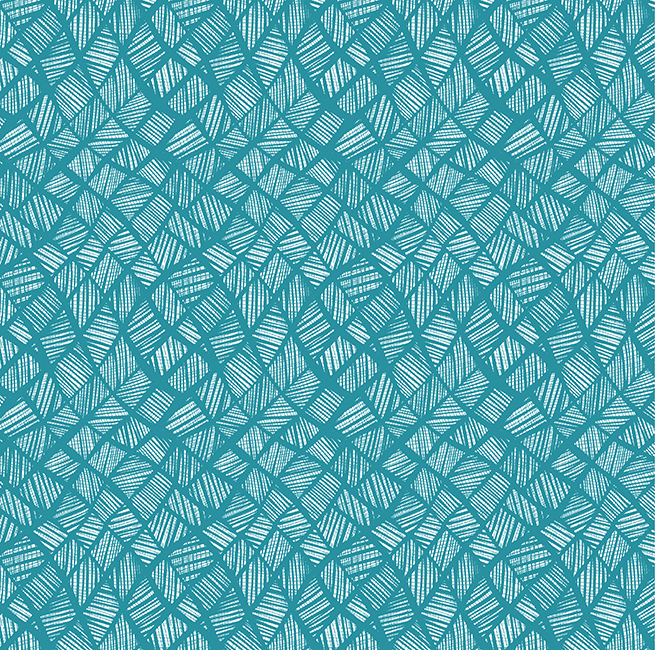 Cut one pillow piece at the dotted line on the pattern. Fold the two cut edges under 1/4" and press. Flip over so the folded edge is underneath. Pin the upper folded edge on top of the zipper, 1/4" from the center of the teeth. Sew close to the fold using a zipper foot. Repeat on the other side. Trim the zipper ends even with the edge of the pillow. Pin the short ends of the long knit strip right sides together. Stitch. 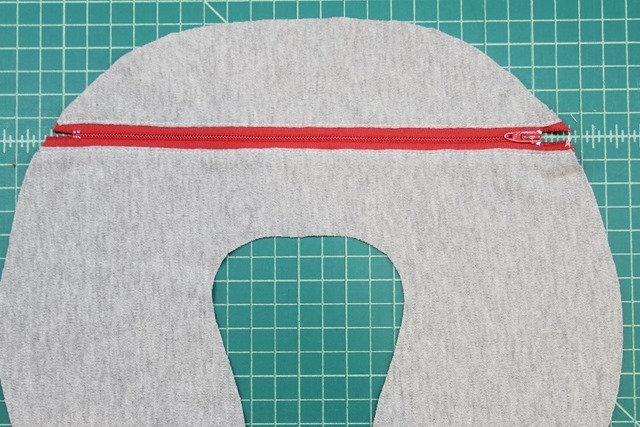 Pin the long strip to the edge of the zippered piece with right sides together. Lots of pins. This is where it's nice to use knit because it gives you a little flexibility when you're matching them together. Stitch all the way around the edge. Unzip the zipper at least halfway so you can turn it right side out after the next step. Pin the remaining side edge to the zipperless pillow. Stitch all the way around. 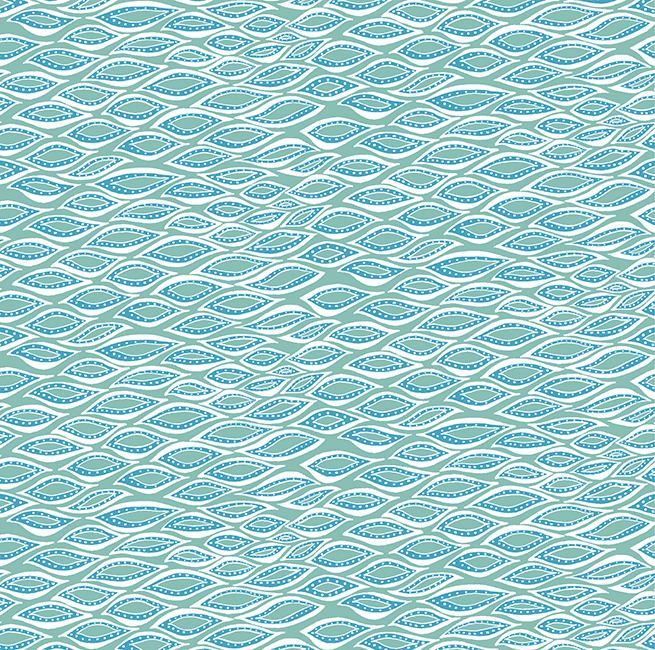 If your fabric is likely to unravel you'll want to finish the edges with a zigzag stitch. Turn right side out through the zipper. Insert the pillow. Zip it up, pack a bag, and you're ready to go! Open to the United States only, with my apologies to my international readers. Postage – ugh! Giveaway will be open from November 16 to November 22, 2016 at midnight. To enter, tell me where you'd travel with your new pillow! Winner will be contacted on November 23rd. 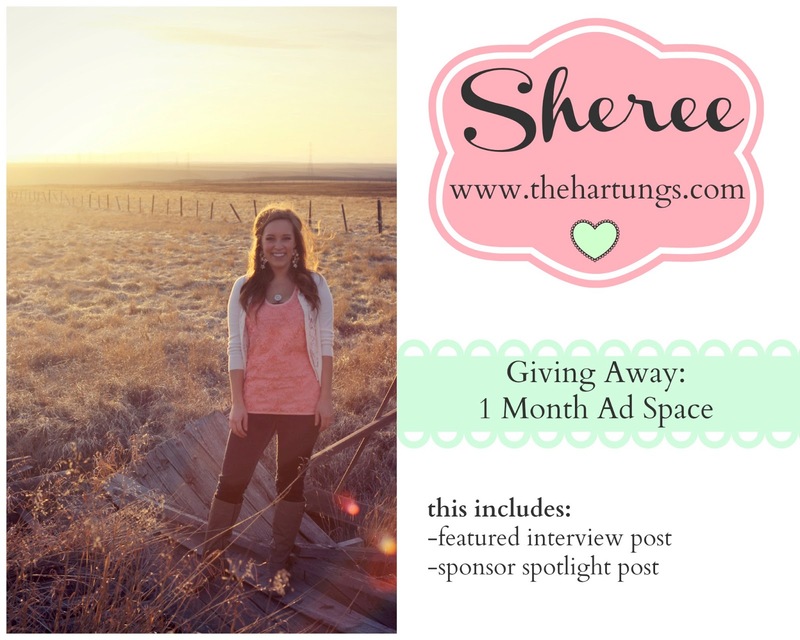 Welcome to the second of the three giveaways to celebrate my 5th blog anniversary! 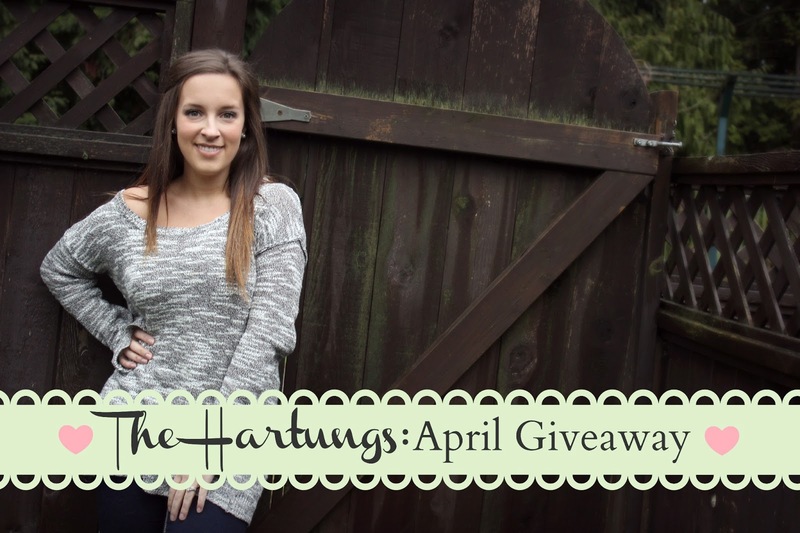 Hopefully you had a chance to enter last week’s giveaway – if not, pop over before March 8th. I’m excited about this week, because I made lots of what you can win today. 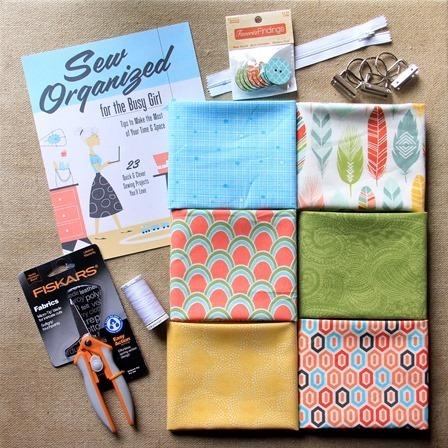 I owe a big thanks to Craft Warehouse for the cute apron pattern and fabric, and Tuttle Publishing for the beautiful cookbooks included in today’s package. You know I cracked the cover on these cookbooks when they arrived from Tuttle Publishing. You really want these – trust me. You might recognize the reversible Chatterbox Apron from my Craft Warehouse Design Team project. 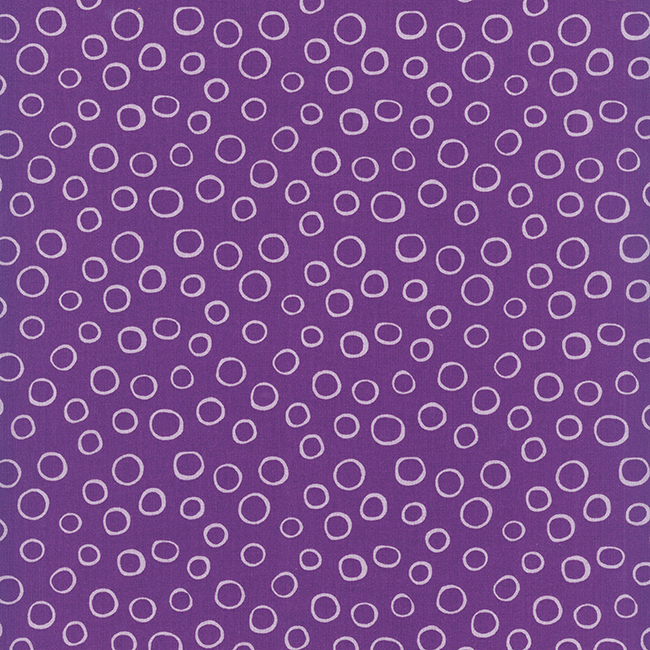 This fabric is so cheerful, and I’ve been anxious to make more things to match. The Mug Hot Pads are the first in my newest series. I’ll show you how to make this quilt-as-you-go table runner on Wednesday. I’ll be sharing this printable shopping list and menu pad soon. To make life easier, each shopping list page is followed by a menu planning page. 1st entry: Leave a comment telling me your all-time favorite project from my blog. 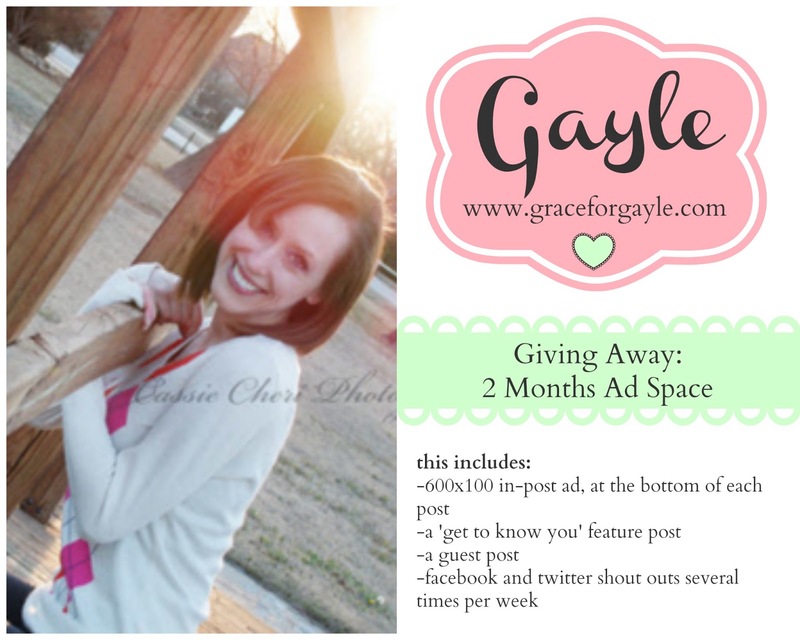 2nd entry: Follow me on Facebook, Pinterest, Instagram or email (right sidebar). Leave a second comment here letting me know. This giveaway opens on February 23, 2015 and will remain open for entries until midnight Pacific Time on March 8, 2015. I will email the randomly selected winner on March 9th. If I don't receive a response by midnight on March 15th I will randomly select a new winner. 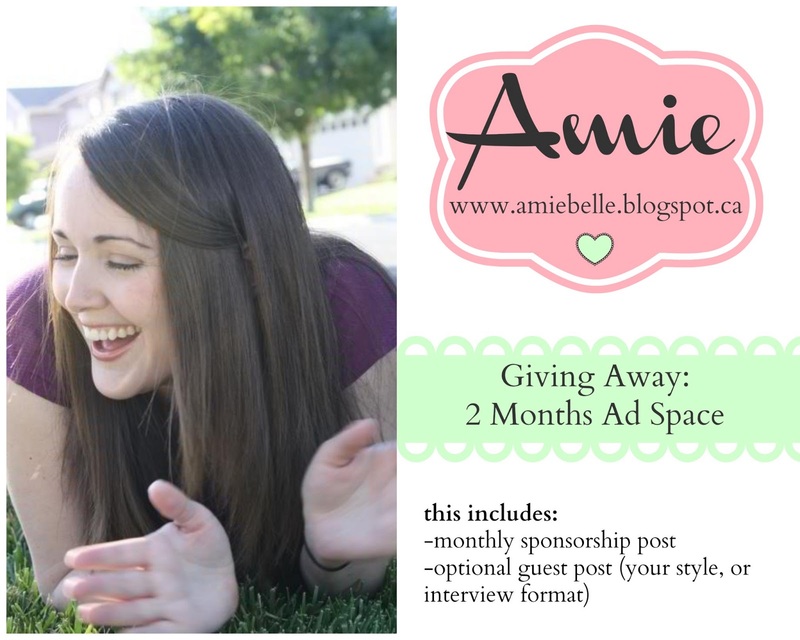 As I promised, today is the first of three giveaways happening this month as part of my blog anniversary bash! For this giveaway, I’m partnering with Uncommon Goods. You may remember them from the amazing glasses they sent me last summer, or their numerous appearances on my annual birthday wish list and in my Friday Favorites. Browsing their website reminds me of when I was a kid and my sisters and I used to sit and look through catalogs, easily finding something we wanted from each page. I can tell you from my experience with them, the quality and customer service lives up to their I’ll-take-one-of-everything selection. Now, about that giveaway. Uncommon Goods has generously offered to send one reader a gift certificate for $50 to use at their online shop! 1st entry: Leave a comment here telling me which product from Uncommon Goods you might use the gift certificate for. 2nd entry: Follow Uncommon Goods on Twitter or subscribe to their email, leaving a second comment here telling me you’ve done so. This giveaway opens on February 16, 2015 and will remain open for entries until midnight Pacific time on March 8, 2015. I will email the randomly selected winner on March 9th. 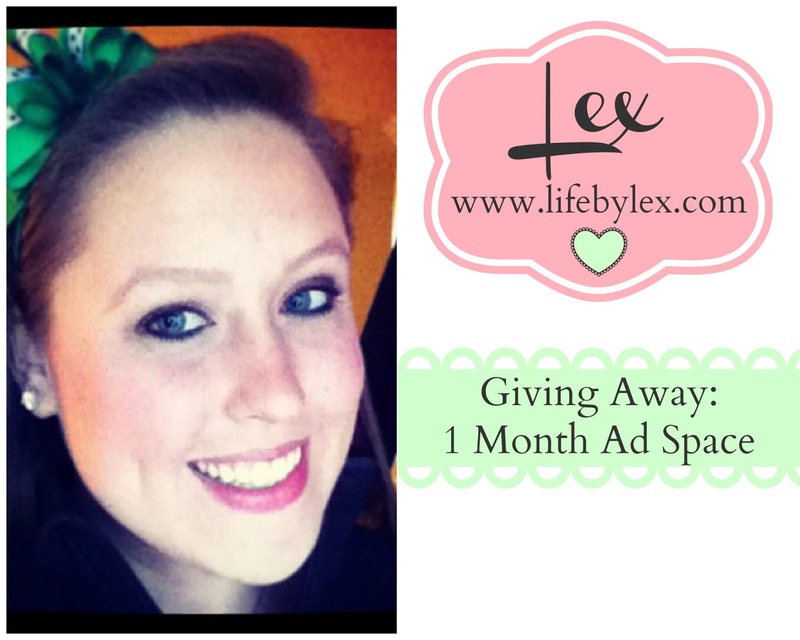 If I don't receive a response by midnight on March 15th I will randomly select a new winner. First I’ve got to tell you, choosing a winner was quite a project. When I laid out the rules for this giveaway I offered you a second entry to telling me where you follow me outside of the blog. What I failed to mention was to leave a second comment letting me know that. Entirely my fault. That meant choosing by random number was out. Instead, I printed out every single one of your comments, printing those twice that mentioned following me. Folding that many was out of the question, so they got wadded up instead. Fancy, right? Congratulations to Maggie for winning this set! I've already been in touch with Patti and her set will be on its way tomorrow! Thanks so much to everyone who entered. I loved reading your sweet comments. Some day when I win the lottery I will give all of you prizes. Step one, start playing the lottery. I’ll let you know how that goes. Four years ago today, I sat down at this computer (well, not THIS exact computer, but stay with me here) to start writing this blog. I didn’t really know what I was doing. At. All. That first month, I stumbled through some sketchy posts, trying to get my bearings and figure out what I was doing. A total of 42 people read what I wrote that month, and I think I probably didn’t even know some of them in real life. It’s been an amazing ride so far. I had my first print magazine project published last year and I’ve had the opportunity to appear on some other blogs I admire. My Etsy shop is thriving, and I’ve branched out to Zibbet and Meylah. I’ve been the recipient of some amazing opportunities, and I couldn’t be more grateful. But what I’m most thankful for is you. Without all of you out there reading this, I’d be talking to myself. Which I would do, but I’m glad I don’t have to. All of your comments, likes, links and silent passing through are what keeps this interesting. To show my thanks, let’s get to this year’s anniversary giveaway! …and a reversible coffee cup sleeve. Surprised? To enter to win this entire set, just leave a comment here. Whatever you’d like to talk about. I’ll give you a second entry if you leave a comment here letting my know where you follow me outside of my blog (Facebook, Pinterest, Etsy, Instagram, Twitter, Bloglovin’). This drawing is open to anyone, worldwide, except my daughter who REALLY wants this bag. Maximum of two entries per person. The contest will be open until midnight Pacific time on Saturday, February 15, 2014. I will choose a winner by random drawing on the 16th. Please make sure your email address is linked to your name when you comment, or include it within your comment. If I don’t hear back from the winner by February 23rd, I will choose a new winner. I can’t wait to find out who I’ll be sending this to! I Love the Sling Bag and my fav fabric is is 131 Grey Hometowns, luvvv that fabric Thank You and Happy Anniversary on your Blog! I love how the flower turned out with the stripes! Since I already had the fabric out on my table, and they’re one of my favorite things to make, I decided she needed a bonus matching coffee cup sleeve. OMGoodness Staci, I LOVE It!!! Absolutely Beautiful Bag and how did you know, I’m a coffee fanatic that struggled (hard!) to pick between the bag and the coffee sleeve when I was leaving the original comment for your Giveaway :-) I can't Thank You enough....Thank You, Thank You, Thank You! Vanessa also shared with me that her daughter already tried to swipe it! My thanks to Vanessa and everyone else who entered. I’m already looking forward to doing it again next year! 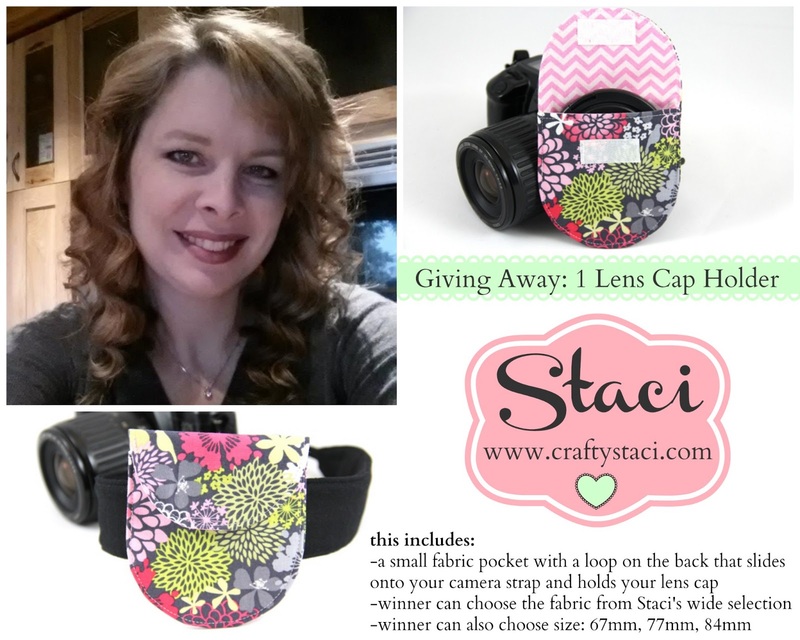 3rd Annual Crafty Staci Anniversary Giveaway! If you haven’t had the chance to do so already, click over (don't leave your comment here!) and get your entry in before midnight tonight. I’ll announce the winner tomorrow. And for those of you who saw his sweet, supportive comment don’t worry – my husband is disqualified! Three years ago today I wrote my first post here. (Don’t go back and read it – it’s kinda embarrassing – see how there’s no link?) Where do you start when you decide to jump into the world of creative blogs without much of a plan? You just do it, and hope it goes somewhere. Thanks to all of you reading this, it has and I’m infinitely grateful. I love what I do and I’m happy I’m not enjoying it alone. Enough being mushy, let’s talk numbers. Since birth, Crafty Staci has been visited by people from 196 different countries. Bonus points if you can name them all. The countries, not the people. On Friday, I’ll share the top ten most popular posts over the last three years. No spoilers yet, but I will say number one is a landslide. 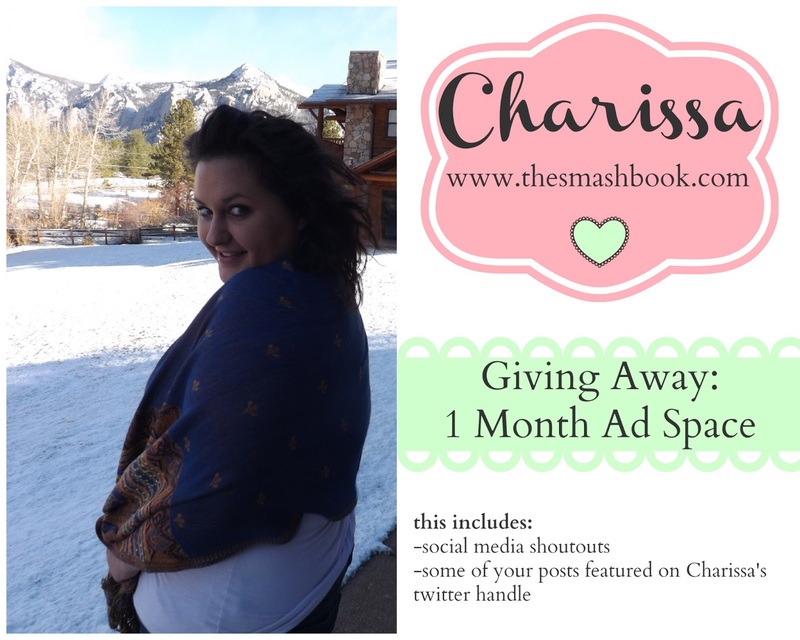 Now to the most exciting part – the giveaway! I asked you what you wanted and the majority vote was your choice of something made by me. Sounds good to me, so here’s the deal. Leave a comment here telling me which item you’d like to win from the list. Also tell me a color or two you like so I can choose fabrics. 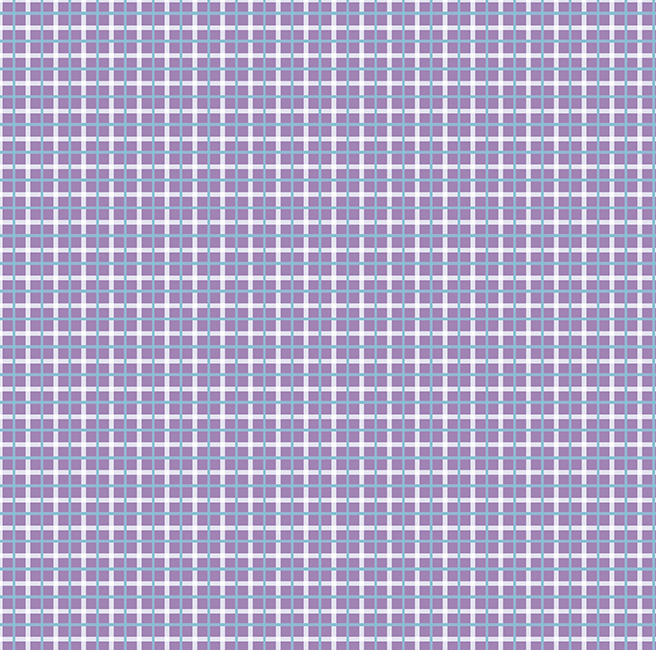 If there are fabrics you like on my Etsy page, go ahead and leave the numbers. I can’t guarantee I’ll use them, but it gives me a direction. I’m also giving you a second chance to enter by following me somewhere. 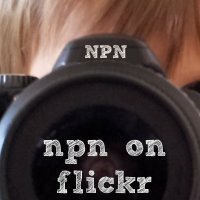 You can find me lots of places, like Facebook, Pinterest, Twitter, Instagram and Flickr. I will tell you, I spend much more time on Facebook and Pinterest, but I’m trying to warm up to using Instagram more often. Leave a second comment telling me where you’re following me now or where you were already following me. Now for the super-boring fine print. The contest is open until midnight Pacific time on Tuesday, February 19, 2013. I will select a winner by random drawing on the 20th and post the name of that winner here. Be sure to include a method to get in touch with you in your comments if your email address isn’t linked. If I haven’t been able to make contact with the winner by Tuesday, February 26, 2013, I will draw a new winner. Last year, the anniversary of my blog passed before I realized what had happened. I celebrated anyway, but over a month late. This year I'm actually ahead of the calendar. The whole event is still a few weeks away, but I'm scheming right now. One of the things I'm trying to decide is what to offer as a giveaway. I really like to give a little something back to you, the readers who are willing to share some of your valuable time with me. As I've said before, if I could I'd send a gift to every, single one of you. However, until my husband's lottery numbers come up, we're looking at a random drawing. What I'm asking from you today is just an opinion. A quick click of a button. If you have a great idea or a wish that isn't listed here, please feel free to add it in that "Other" box at the bottom. Thanks for your help!